We’d love your help. Let us know what’s wrong with this preview of Real Estate Riches by Dolf de Roos. 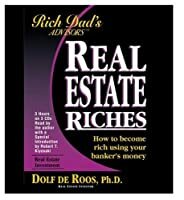 Self-made real estate mogul Dolf de Roos reveals why investing in property isso simple and lucrative as he gives insider secrets for getting ahead in thishigh-profit business. To ask other readers questions about Real Estate Riches, please sign up. Very comprehensive. Explains many basic, important principles to real estate investing that are applicable to all types of investors getting a start. I highly recommend this to anyone looking into real estate investing at all. Very easy to read and interesting. This was good information about 5 years ago. Now in 2009, the economy is a mess and banks are going out of business right and left. It's much, much harder to use these techniques to buy an investment property with 'no money down'. Don't get me wrong, if you are creative enough you can make things happen but you just can't walk into the bank and walk out with a pile of money any longer. Darn, I miss the good ole days. I read this book when it was first released, around 15 years ago, and thought it was brilliant. I have read many property books since then but this remains the most helpful. I used the principles to buy a small collection of rental property which hasn't made me rich but has definitely helped my retirement fund. This is the first time I've reread this book and I think it still stands as a great primer for people who are interested in real estate investment. Highly recommended. Learned about investing with leverage, how to look for deals and increase the value of your properties. Residential versus Commercial Real Estate. Seriously good book that not only sets you up with basic real estate investing theory but also actions steps and things you should look for. 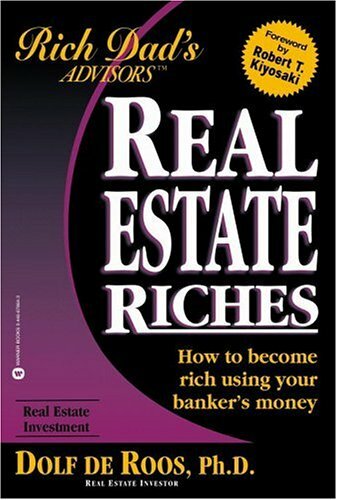 A great book on basic real estate investing. I used it before buying my second office and it was helpful. This review has been hidden because it contains spoilers. To view it, click here. Typical first Part. On a commercial properties you can increase the value by finding a tenant for a vacant space, by agreein Typical first Part. In Real estate you can enjoy the money from appreciation through Refinancing. As assets go down in value, you can claim the decrease in value, or depreciation,against your income. Some of the depreciation you claim may apply to curtains, carpets, the fittings, fixture, and chattels in a house, and also the house itself (Everything but the land) (p.27). When you claim depreciation, it does not cost you any money. In the U.S. the limit is set at $25,000 per year and decreases as your income goes above $100,000. (p.28) One of the wisest investment you can make when you buy a property is to have an appraiser or registered valuer go trough the property and itemize each and every chattel, fixture,and fitting in the property. Go into a RE office an ask: "Who would be the best agent to deal with concerning investment properties? Phone their references. Ask the question: "Would you have these people as tenants again?" Gain the favor of tradesmen (contractors) by *paying them THE SAME DAY THAT YOU GET THE STATEMENT. Write the check write away. (p.121)Word'll spread you pay on time and promptly. MY BANK WILL NOT GIVE ME A LOAN TO BUY A NEW HOUSE BECAUSE MY OLD ONE BURNT DOWN AFTER I RED A BOOK FROM THIS WEBSITE SO I DONT KNOW WHAT TO DO ANYMORE PLEASE HELP ME CAN SOMEONE PLEASE EMAIL ME WITH INSTRUCTIONS ON HOW TO GET A NEW HOUSE I ONLY HAVE A DOWN PAYMENT OF $$300 BECAUSE MY JOB WILL NOT GIVE ME AN ADVANCED TO PAY FOR ANYTHING I HAVE TO EAT BROCCOOLI THAT I PULLED OUT OF MY NEIRHGBOR'S GARDEN IN ORDER TO SURVIVE AND THAT IS NOT FAIR AND NO ONE WILL LISTEN TO ME WHEN I ASK FOR DONATIONS MY BANK WILL NOT GIVE ME A LOAN TO BUY A NEW HOUSE BECAUSE MY OLD ONE BURNT DOWN AFTER I RED A BOOK FROM THIS WEBSITE SO I DONT KNOW WHAT TO DO ANYMORE PLEASE HELP ME CAN SOMEONE PLEASE EMAIL ME WITH INSTRUCTIONS ON HOW TO GET A NEW HOUSE I ONLY HAVE A DOWN PAYMENT OF $$300 BECAUSE MY JOB WILL NOT GIVE ME AN ADVANCED TO PAY FOR ANYTHING I HAVE TO EAT BROCCOOLI THAT I PULLED OUT OF MY NEIRHGBOR'S GARDEN IN ORDER TO SURVIVE AND THAT IS NOT FAIR AND NO ONE WILL LISTEN TO ME WHEN I ASK FOR DONATIONS AT MY CHURCH !!!!!!!!!! Хорошая кника про управление недвижемостью, объясняется как управлять и строить бизнес на недвижимости. Много идей. Короткая, всего 3 часа. Dr. DeRoos lays out why he believes real estate to be the best game in town. He gives you a clear sense of the prionciples involved in this game. While I'm not in love with the fact that this book is an entre into other work by him and services he offers, I can see how he really has no choice if he wants to keep this work to a manageable primer. In that sense, he does succeeed and He does gain one's trust so much so that if you are interested, you could probably do worse than follow up with him. Some good things in this book, but I read one of Kiyosaki's other books about real estate investing and much of the important stuff was already mentioned in that other book. This was a repeat. I was stoked about reading it and its a great starter read. Yet another book cashing in on the real estate bubble. Dolf De Roos is another one of the motley cast of opportunists and scam merchants who jumped on the property speculation bandwagon and helped to fuel the boom of the late 90s and early 2000s. This book really has practical strategies. I followed every step and I saw great benefits in just a short period. The book is really good for people who have no idea how to make the best out of the money they have and also the people who are interested in real estate! Interesting, but not sure if relevant post-2008 and with the new technology. I would love to read an updated version that takes into account the more conservative lending practices and decreased information gap brought on by Zillow, etc. Definitely whets the appetite a bit, but definitely not everything I want to know/ what I am looking for. I am glad he gives his direct opinions on particular/specific things instead of trying to give broad tips on real estate investing. Again, I am against using a bank's money to make money unless the investor has an invested interest (i.e. 20% or more cash down). A lot of positive cash flow situations require an initial investment. I just wish this book would have emphasized this fact more. Extremely practical, very, very precise advice about the benefits getting into the real estate market, and a chance to learn from the mistakes of others to avoid making your own. Whilst it may be showing a bit of its age it still has some great points that I hope to make use of in the future. Great ideas for real estate investment. Entertaining, enlightening and motivating. But I know not everyone views property investment so positively, so I need to read something from the other point of view. I think anything by Robert K. in the Rich Dad, Poor Dad series is garbage. Super vague and fluffy, very little useful information. in short, this book has changed my prespective about money. Quick, informative read. My chief concern is the relevancy after the US real estate crash in 2008.